The most awaited inter university / school technical festival organized by School of Engineering & Information Technology, Manipal University Dubai is here! 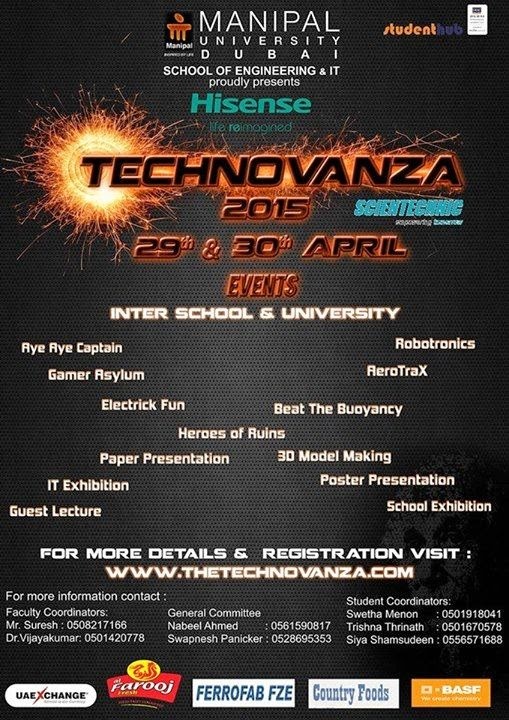 The two day event will feature School Exhibitions, Robotronics, Aero Trax, 3D Model Making, fun games and much more! Register and be part of the various activities planned for the fest! Here are the details of whats happening!